Funk legend Bootsy Collins performs a new holiday classic from the December issue of Sports Illustrated Kids. We have a gift for you. And by gift we mean a really weird video that didn’t cost us anything. 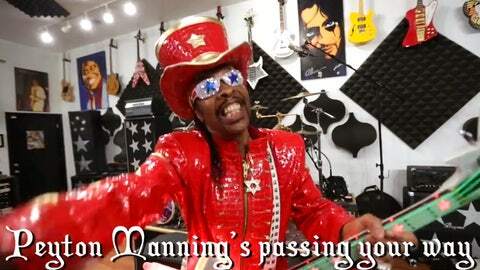 Funk legend Bootsy Collins has made a Peyton Manning Christmas song for the folks at SI Kids. First Peyton wins the SI "Sportsman of the Year" and now this? Talk about a wild week for the Broncos QB who has yet to win a playoff game during his days in Denver. We feel safe calling it the strangest Peyton Manning Christmas song ever because we think it’s the only Peyton Manning Christmas song ever made.